SAVE $30! 4-1/2" Track Saw System with 110" of track. Cuts up to 1-3/4" thick stock. 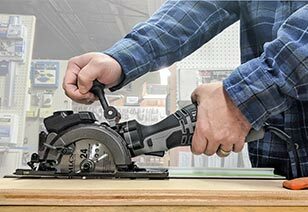 The pistol grip style saw allows for easy, non-slip one handed use. An additional handle for 2 handed use is included. 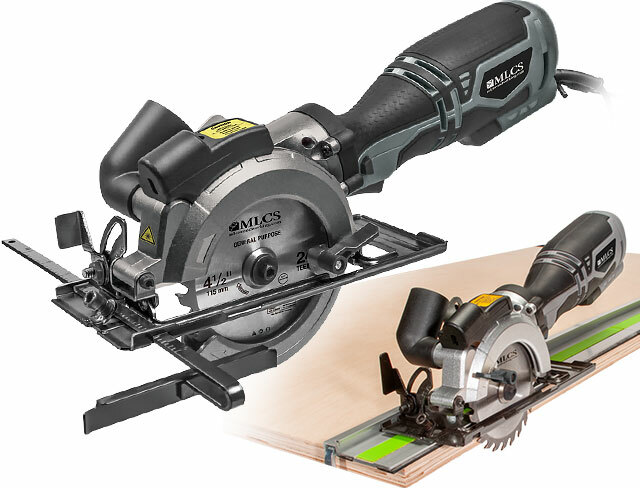 Accepts 4-1/2" Blade with 3/8" Bore. I have looked at all the track saw systems out there. I have a small shop and needed to find a small system that would work for me. I purchased this and I wasn't disappointed. This system is versatile and compact. Being able to cut a 45 on an edge of plywood during break down has saved me time. 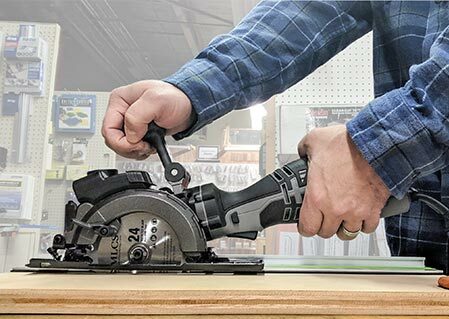 I definitely would recommend this saw for a small shop. solid parts and very cool system. comes in a small box but has the full 110" of track and clamp and shorter standoff. very useful as its small size is much easier to manage and all needed if your just ripping plywood into more manageable working pieces. Decently impressed and buying a second for my dad for his birthday. This is the first track saw I have owned. For years I have used a circular saw and edge guide to make cross and rip cuts that can't be done on a table saw or miter saw. When this one came on sale at MLCS, I decided to try it. After an afternoon of checking it out, I recommend it. I ripped a 4' piece of 5/8" plywood with my table saw, then measured out an inch and ripped it with the track saw. Then I brought the plywood back to the table saw and ripped a 1/8" strip. When I measured the width of the strip with a caliper, the variance from front to back was 9/1000 of an inch. The cut with the saw was clean using the supplied carbide blade. There is a little side to side play in the saw tracking slot but does not affect the cut with slight right pressure on the saw against the track. The tracking bar clamps work well in holding the guide to the work. I would recommend the saw tracking system.